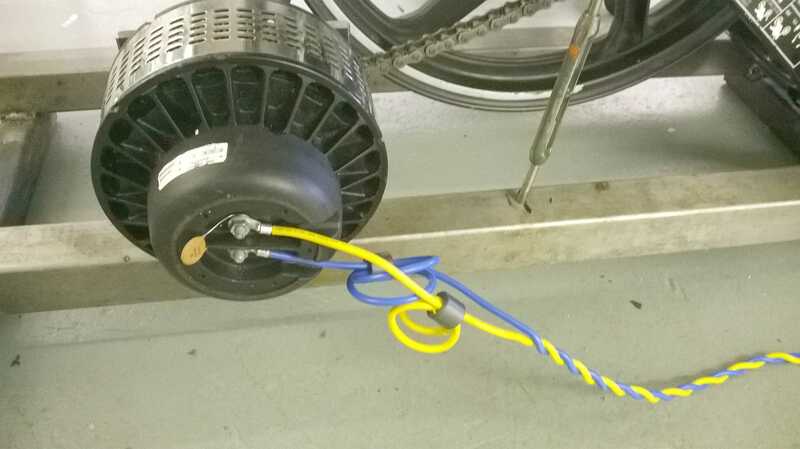 Electric motors are electrically noisy, the sparks commonly seen at the brushes are a source of radio frequency interference [RFI] that can interfer with both the host controller and other systems. Good motor noise suppression will improve system reliability by reducing the chance of MOSFET latch up and failure. Make sure that the brushes and armature do not become too worn. Brushes that are worn will have a light spring pressure which will lead to more sparking which is very electrically noisy. If you have inductive horns fitted to your vehicle, be aware that these can also cause electrical noise. We recommend you fit a “catching” diode across each horn. Diode type 1N4002 or similar is readily available, and should be fitted with the white band connected to the horn +ve. We’ve put together some interference suppression packs that have the components we recommend.